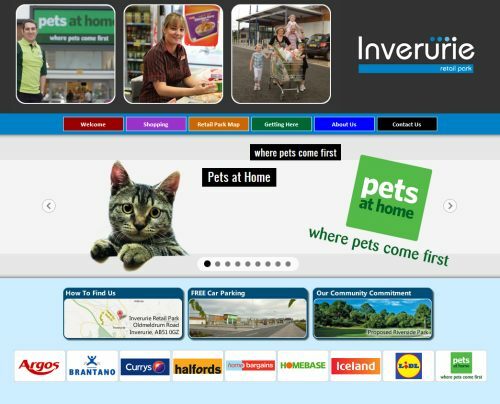 Northburn Developments have recently completed the exciting new Inverurie Retail Park in North Eastern Scotland. Our web brief was to develop a website to promote the nine different retailers and the park itself to a local and National Audience throughout Scotland. We considered websites for other retail parks and came up with a dynamic and attractive solution which using search engine optimisation will help promote the business. The site integrates mapping technology to provide directions to visitors as well as Java technology to include animations that will be viewable on devices that can’t support flash.